Which Is Better For Your Health: The Sauna Or The Steam Room? If you had the choice of being too hot or too cold, which one would you choose? Well, it seems as though most people do choose on a regular basis. Most spas and wellness retreats offer their customers various amenities alongside their pools and treatment rooms. They might offer saunas and steam rooms for those who like to be too hot, and cold pools and even cryotherapy tanks for those who want to be too cold. However, it’s fair to say that more people opt for the hot rather than the cold option. Of course, this also throws another question into the mix. When it comes to steam rooms and saunas, which one is better for your health? Well, in short, a steam room is a room that’s full of steam. Of course, there’s much more to it than that. A steam room normally sits at between 100 to 120°F and offers the patron around 100% humidity. This means that the air is incredibly wet, and you might not even be able to see across the other side of the room because the steam is so thick. Steam has almost always been associated with improved health, and it seems as though steam rooms are no different. These rooms have been linked to improved circulation, lower blood pressure, reduced stress, congestion clearance, workout recovery, boosted immune system, and they’ve even been known to help you burn calories. A sauna is a little different to a steam room, as they use a dry heat to fill the room. 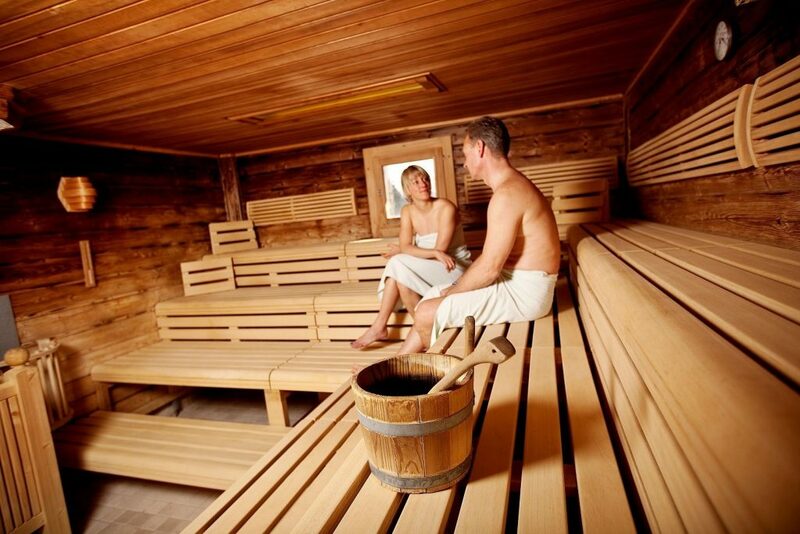 You can expect a sauna to be around 180 to 195°F, and there is very little humidity. Because of this, the air can often feel as though it’s much hotter, and almost like it is burning. Many people compare a sauna to an oven, which is why people create a little humidity by pouring water over hot rocks. Like a steam room, there are various health benefits associated with steam rooms. Most notably, it’s believed that a stint in the sauna will flush the toxins out of your body, promote performance endurance, improve your memory, and help reduce any pain you may have in your body. Which Is Better For Your Health? Although both steam rooms and saunas have their benefits, which one is better for your health? More than anything, it’s down to personal preference. There are some people that like one more than the other, while there are others who are ambivalent when it comes to these two rooms. However, if you do suffer from respiratory problems, it’s best to avoid saunas. Because of the dry heat, saunas often dry out the respiratory tract, making it more difficult to breathe. If you do not suffer from any respiratory problems, then the choice is yours. Next time you go to the spa, which will you choose? Will you spend half an hour in the sauna or half an hour in the steam room? Or will you just bypass these two entirely and make your way to the plunge pool?